Career Success Tip For Singers Of Any Age or Musical Path! We find career success tips all over the internet. There are so many things that we are told we can-must-should do in order to more fully live our dreams, that if you are like me, sometimes you can become overwhelmed! No matter what it is that you want to accomplish: find your joy in a great choir, start up a band, sing for your children, sing better for yourself, become a solo singer "on the road...", record a CD or sing more freely in your shower... - this career success tip addresses all of these aspirations. "FIND OTHERS WHO HAVE SIMILAR ASPIRATIONS & TALK WITH THEM!" In my long experience as a singer & vocal coach, I have come to understand that one of the things that most affects a singer's possibility for "success" (whatever that may mean to YOU) is the lack of OR access to - genuine support & encouragement. Often, the people whom you most expect to be the wind beneath your wings, (your family, perhaps? or your best friend), simply cannot do that for you - for one reason or another. No matter, most of us rightfully yearn for understanding and shared joy in a journey - and there are places to serve this reasonable need, if you look around a little bit. Joining a choir can immediately put you into that precious kind of "group." But if that is not your "thing," chances are very good that you can find a group of like-minded individuals in your home-city, if it is big enough. But it does not matter if you live in a smaller place. If you have the internet, you will likely find an appropriate group there! Surf the net! For instance, after a quick look, I found a page on Facebook where people share ideas about songwriting. 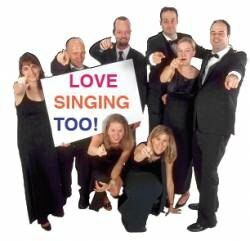 And here is a page that offers various listgroups on a variety of subjects having to do with singing. And here is my new "SINGING AFTER FORTY" page on Facebook. 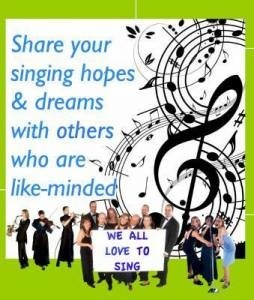 I will be posting much more information there week to week, especially for singers who are over forty. You are welcome to write on this page, too! Take a moment to "like" my page and become a friend if this kind of information and communication meets your unique needs. But be careful as you look for the right sites and groups. Especially on the internet. Watch how people are communicating before you dive in. Don't share personal information unless you are sure of your listeners. Be wise with your life details. Increasingly, we are going to find shared vision with others who live all over the world. They can add value and happiness to our lives as we contribute to theirs. 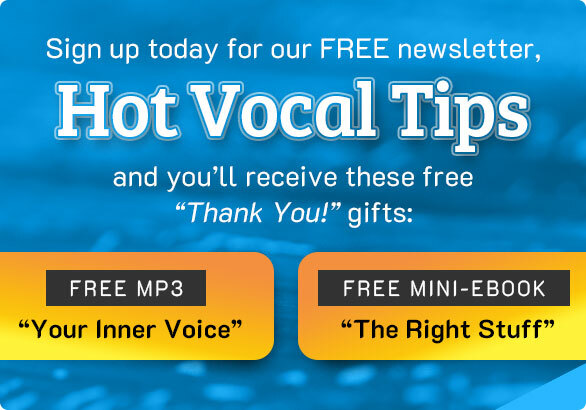 This can be a wonderful way to keep your energy up as you carve out your unique place in your (singing?) life.